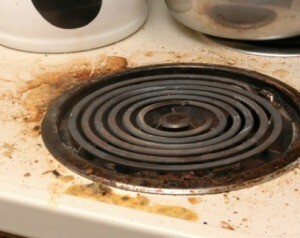 Cooking usually means that there are grease spatters on your stove. This is a guide about homemade stove degreaser recipes. How do I make a degreaser with common household items, for the stove? I have good results with straight white vinegar in a spray bottle. Spray, let sit a few seconds, then wipe clean. I have had good luck using straight white vinegar in a spray bottle. Spray on, wait a few seconds, then wipe off. Cleans down to a squeaky shine.